You are welcome to park on either the street or the free covered parking garage directly behind our office building! We are closest to the Springfield Metro Station (Blue line). There is a shuttle that runs between the metro station and Metro Park (our development), Monday through Friday, every 15 minutes. The closest bus stop to the restaurant is the one in front of the "6363 building," on Walker lane. Live DJ every Friday evening to create a vibrant dining atmosphere! 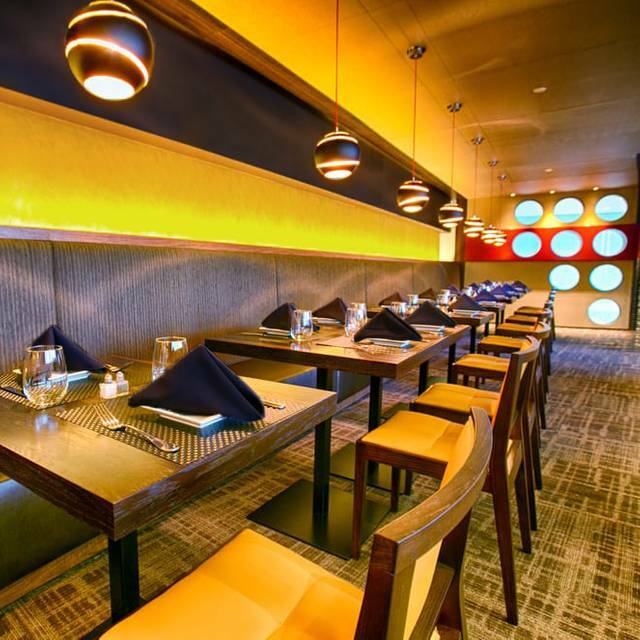 We host wine tastings, wine dinners, cooking classes and more! Just give us a call or visit our website at www.osteriamarzano.com for more information under the "Events" tab. We cater office parties, work functions and private events. Just give us a call and we'll hook you up! Executive Chef Carmine Marzano is adding a fresh twist on classic Italian dishes, and creating local and seasonal fare made with top-quality ingredients. A sophisticated venue for lunch, drinks, or dinner, our restaurant and bar serve up classic brick oven pizzas, a variety of small “Assaggini” Italian tapas-style sharing plates uniquely available at the bar, delicious handmade pastas, hearty main courses and a well-curated wine, beer and cocktail selection. Chef Marzano's homemade fig jam is available for purchase! Buffalo mozzarella filled with mozzarella cream. 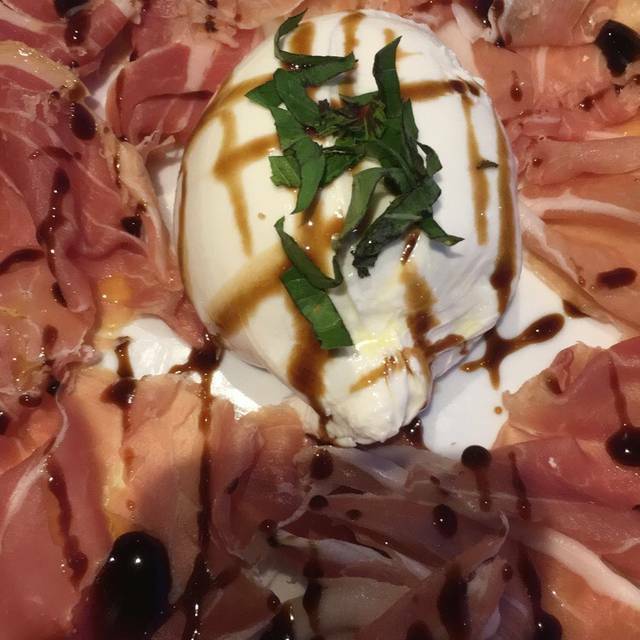 Served with Prosciutto di Parma, basil, and balsamic glaze. One of our favorites! A bowl of traditional, Italian vegetable soup in a chicken base broth. Very tasty! Ask your server about what Chef Marzano has created today! An ancient grain, rich in protein and fiber! Served with baby kale, tomato, red onion, cucumber, gorgonzola crumbles, glazed walnuts, golden raisins, and drizzled with chianti red wine vinaigrette! An assorted platter of the following Italian cheeses: Parmigiano Reggiano, Pecorino Toscano, Fontina, Robiola Due Latti and Gorgonzola drizzled with Virginia honey! Served w/ Chef Marzano's famous fig jam & hazelnuts! Ask your server what Chef Marzano has created today! Spaghetti in our OM tomato sauce. Served with our famous, large meatball! Orecchiette pasta baked in a 3-cheese sauce, bits of bacon inside, and topped with a large strip of candied bacon! One of our favorites! 8 oz yellow fin tuna, cajun seasoned and seared. Served over homemade tagliolini pasta sautéed with cherry tomatoes, garlic, and EVOO. Topped with Chef's exquisite lemon-butter sauce! A 14 oz Berkshire Kurobuta, organic pork chop. Grilled and served with tricolored peppers, white wine sauce, fingerling potatoes, and grape tomatoes. If you like pork chops, then you'll love this one! All of our pizzas are 12" and we use Fresh mozzarella, of course! 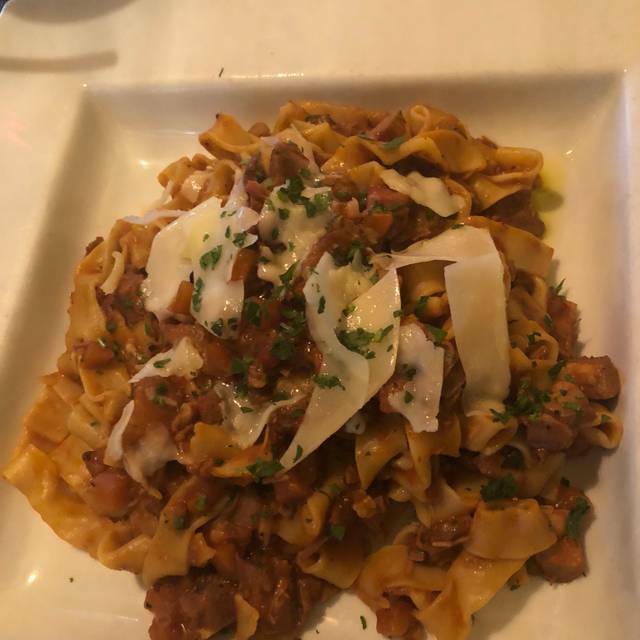 Osteria Marzano never disappoints! This is my go to for Date Nights, Sunday brunch and weekday lunch with friends. The wine list is extensive, offering something for everyone. 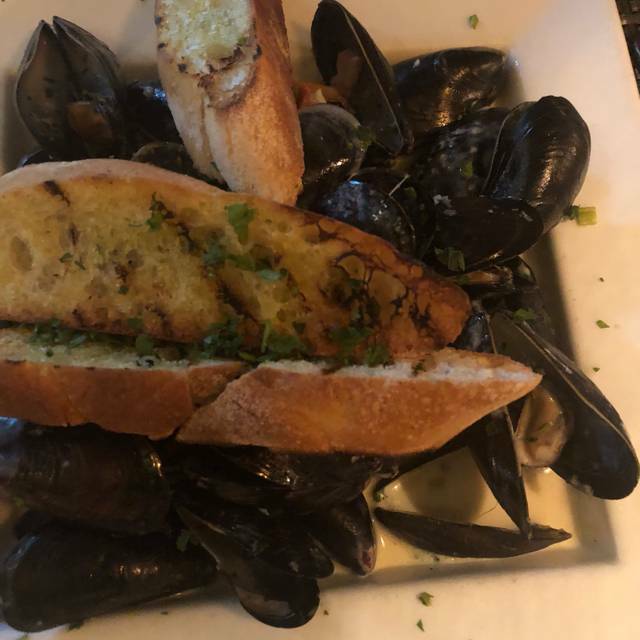 All of the food is outstanding, but be sure to try the mussels appetizer with pancetta and ginger cream sauce-it's the best! The servers are friendly and helpful, always willing to go the extra mile to make you happy. OM is a local gem and we will be back soon. Food and Service the Best !!! Our table was just across from the bar, and the happy hour crowd was incredibly noisy. With only an aisle between our table and the bar and not be able to enjoy the happy hour prices was disappointing. 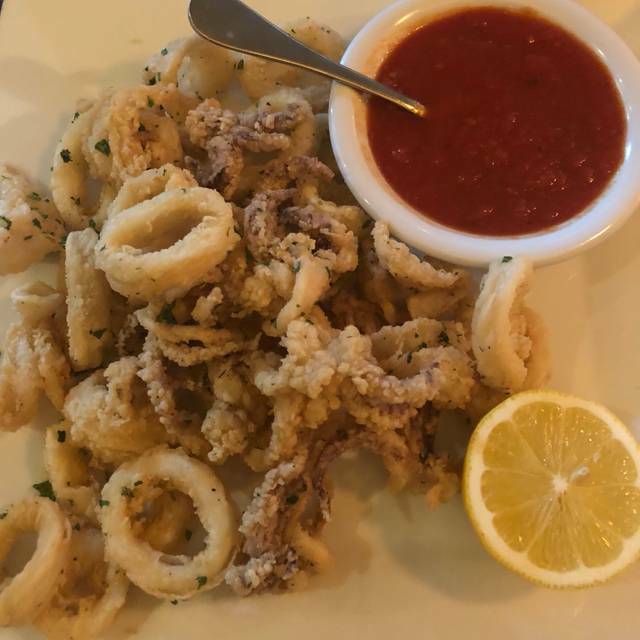 Marzanos is our favorite Italian restaurant in the Springfield/northern Va area. We always have an excellent meal here. The food is authentic Italian. My husband is Italian and we are particular about finding good Italian food. The chef here is amazing. We use to go to his families restaurant in Washington, DC, so we are fortunate he opened up this restaurant near our home. We eat here often and have had several large family celebrations there. Had the spaghetti which is served out of the cheese round....very cool and very delicious. Heartily recommend OM. We have gone to OM many times and would go more often if the service was better. The food is fabulous but the servers and employees are difficult. We arrived a bit early and stood by the front desk for 10 minutes without anyone coming over. There were three employees talking at the bar and not one moved to assist. I finally went over to ask if they could seat us and was told they would have to ask someone else to help. The restaurant was relatively empty but within a few moments they sat someone right next to us. They were very noisy, speaking loudly, by the end of the meal, I knew the gentleman’s entire unhappy working career. We were there for our 40th wedding anniversary and would have liked the atmosphere to be more conducive to privacy and conversation, OUR conversation. We ordered a simple champagne cocktail and were told they did not offer it. I explained what was in it and was told she would see what she could do. No sense of customer service, no attempt to satisfy our request. That said, the meal was excellent - well prepared, plentiful and tasty. That is what brings us back. Maybe next time we will get take-out. The best Italian food in the Alexandria area. Authentic and great variety of items on the menu. O.K. for a neighborhood "sports-bar" eatery specializing in Italian fare, but it's not a destination restaurant. Quite loud, salty food. Closer to Olive Garden than The Red Hen or Fiola. Not a bad experience (service was very good) but uninspiring food. Pretty loud as well, TV's and the music both on along with the bar being centered in the room made for difficult conversation. Not rushing back, but neither would I say avoid it. Just don't have high expectations. Great food and service to match. In the past gone for lunch and noise level was not as great as in the evening. You would think it would be the opposite, perhaps greater divider between bar and eating area. Good food, good service, far too loud to hold a conversation. This was our first visit to Osteria Marzano. Unaware that happy hour was "only at the bar" I purchased a happy hour drink and went back to my table. The waitress rudely told me "you're not allowed to order from the bar you have to order from me". Why would a restaurant not want to sell you a drink from the bar at happy hour prices? We certainly were not going to order from the waitress at full price! Guess they would rather make no money of drink vs some money from the happy hour drinks! Next time we will just do the happy hour and no dinner. Great Italian food and seriously the best meatballs I’ve ever had. Discovered this place by complete accident and so glad I did. Service was on point and the food was delicious. The food was delicious. Unfortunately, we were there on a Friday night, and the restaurant was packed. Our server was delightful and well-organized; however, food service was slow, probably due to so many customers. Would like to return another night to retry. Good the daily specials were good. 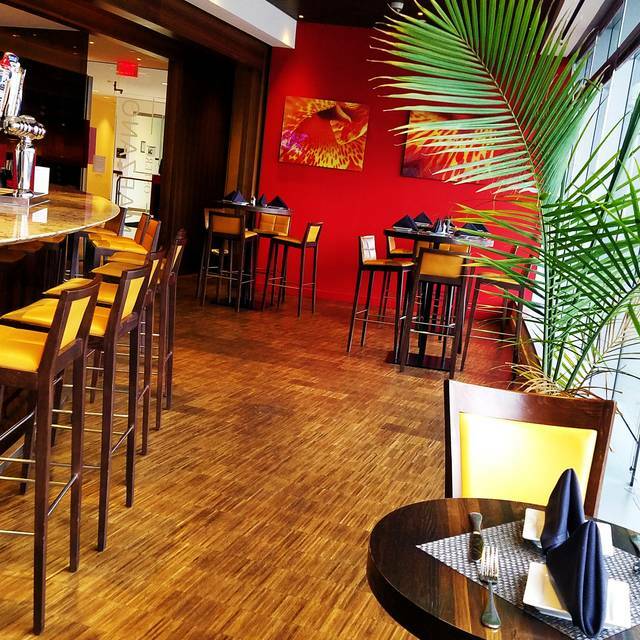 This is our "go to" restaurant when we want a delicious meal in a warm and welcoming environment. I've tried many dishes and have never had a less than stellar meal. Love this place! Our table was next to the window near the bar, much to loud for dinner with far too much traffic. The food was fantastic, but the waiter was lackluster, disappearing for long periods with other servers offering to assist and ultimately returning with the credit card receipt for signature, and the amount was not correct, actually lower than what it should have been. Had to call him back to rerun the charge. The food was above average, the service was average. It's in such an odd location in an office building and the interior is so unattractive, kind of sterile. It was a Friday night and there was a large happy hour crowd and a dj playing loud music, the conversation level was loud. The restaurant is 75% bar area. There were 4 tables in a rear room that has red walls and no decoration where we were seated. The dining area is like an afterthought. It's unfortunate because the food really was good. Maybe there was another dining area that I missed, but I am not inclined to return. Whenever we come to DC we always have dinner at this restaurant. We have been coming for many years and so happy to see Julia who was our waitress for several years has been promoted to Manager; well deserved. The food is consistently very good with great service and always reliable. Great food and service. Table was a little cramped. Awesome food and waitstaff. We love that portions can be split at dinner too! Fun family dinner. We love the food and the staff was great. 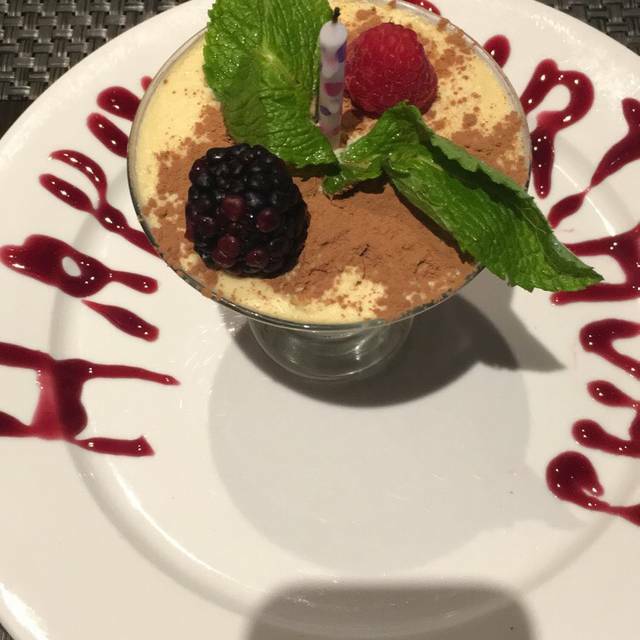 The staff, cuisine, and service is exceptional. Always a fun, delicious, and wonderful experience. Thank you! My husband & I had the special. The kids had pizza & ravioli. Everything was delicious. It was lovely, but over priced. I would go for happy hour or pizza. Will be far more selective when dining for dinner. The food was decent, not worth $177 for 3. I’ve had better. Overall, food was great and the atmosphere was warm and inviting. Our waitress was a little slow in recognizing we were ready for drinks, and then again when we were ready to order. If the restaurant was busier, it would be okay... but she wasn't that busy, just not very observant. Sorry but this will be our last visit to Osteria Marzano. Seating touble again (even though we had an early reservation), service mediocre, and three of us had a nightly special that was very unappealing. We feel like this place has gone down hill over the past 3-5 months. Sorry guys, we wish you all the best. 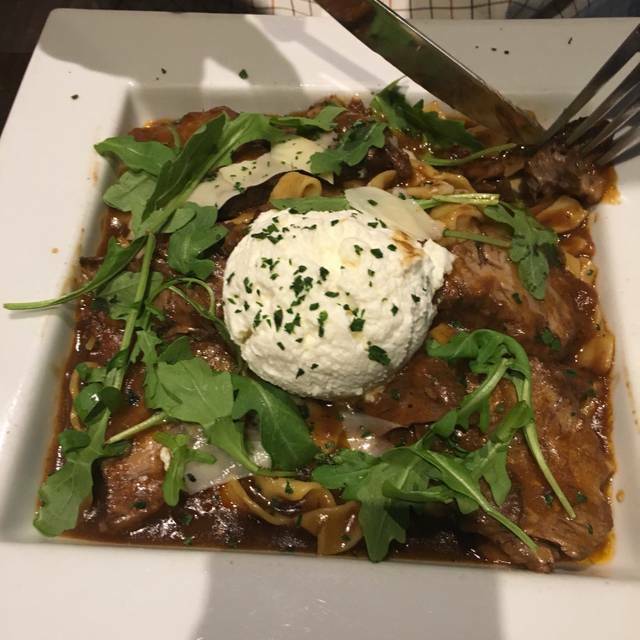 We always have a good experience when we eat at Osteria Marzano - lunch or dinner. This time was an early dinner with friends. The lasagne is a hit every time - we introduced it to one of our friends, too. I enjoyed the grilled branzino, but am not a fan of cruciferous vegetables with fish. I think that flavor tends to overwhelm the fish gentleness. And the pasta served with the fish needs MORE flavor. The fish was great, though. Olives to start are almost a reason to go on their own! We had a lovely meal. From the tuna tartare to the short ribs. All accompanied by a wonderful bottle of wine and our very attentive waiter. I go here for the authentic fresh Italian cooking and specifically, the gnocchi. Gnocchi is not on the menu but usually a special. When I inquired about the gnocchi this night I was told they didn’t have any but when I looked at the specials I noticed one of the specials came with gnocchi— so how do you not have gnocchi? If they only wanted to sell it as part of that special and not it’s own dish than fine but just say that. There’s no reason to lie about it, especially since I just ordered the special anyway. Anyway, the food ROCKS and you can’t go wrong with anything you order. 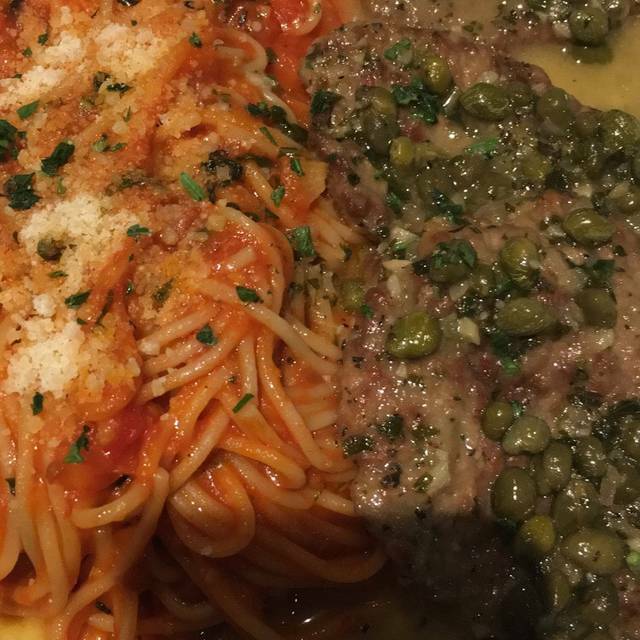 One of the best Italian restaurants in the area! This place is THE hidden Italian gem in the area. The menu has got a modern flair, but uses classic ingredients which are always top quality. They don't have a lot of seats so it's pretty quiet and strikes a great balance between feeling hip and modern but also welcoming. Value-wise, portions are very generous, and the wine prices by the bottle are actually really reasonable. Love this place and for my own selfish reasons hope it doesn't get too popular! Great pick for our Valentine's night dinner. Girlfriend loved the food, music and service. Great for couples.